This summer, Istria once again becomes the central film location in Croatia, known for the unforgettable screening locations in its picturesque towns and cities. From the shores of the sea to the green hills in the interior, Istria has a bunch of film surprises in store for her visitors. The oldest film festival in Croatia once again hosts local and international productions in Pula. The 58th installment of the cult Feature film festival will bring the impressive amphitheater to life between July 9 and 23. 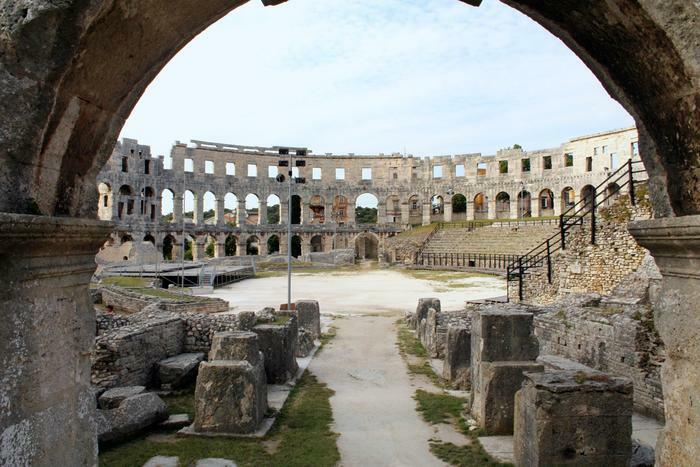 The latest movies shown in a former gladiatorial arena is a truly unique experience, and once that can only be felt in the Pula Arena. Between July 25 and 29, the film festival moves to the green hills of Istria's arguably most charming town, Motovun. Marathon screenings starting at 10 in the morning and finishing at 4 in the following morning will keep lovers of diverse genres well-entertained with titles arriving from all corners of the world. No matter if you decide on Pula, Motovun, or both, Istria is certain to make your movie dreams come true under open starry skies. Hurry up before the festival begins!